Welcome to the Colorado Department of Education eLicensing system! This is where you complete the online applications for educator licensure in Colorado. Keep in mind that before you start an application, you must review the requirements, and complete the appropriate checklist and forms at our Educator Licensing site. New user, you'll need to create an account before you can proceed. You will only need to do this once by clicking on "Register" on the left. Returning user, click on "Login" on the left. Please do not create more than one account. Using multiple accounts may delay or even void your application. You may make changes to your existing account (e.g., change your phone, email, address mailing address, etc.) after logging in. The Office of Educator Preparation, Licensing and Enforcement is a resource for questions and information about educator preparation, alternative educator preparation, educator licensing and educator backgrounds, fingerprints and enforcement. 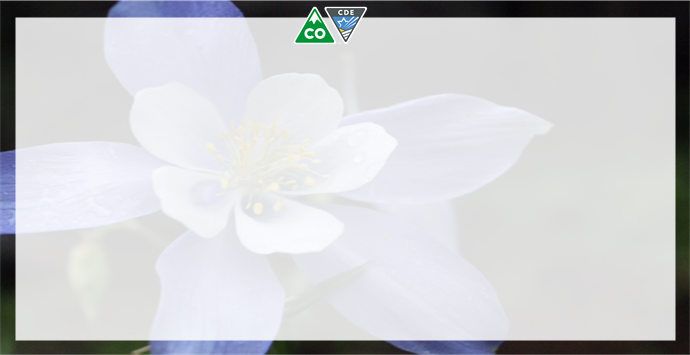 We look forward to serving you and we thank you for being an educator in Colorado!